The Auction add-on allows you to run auctions in your store. The auction details are displayed on the product page. Customers can see Auction products on the Auction page, on categories (if chosen) and search pages. customers can type the desired bid amount in a special field or can click the “Bid” button to make a standard bid (if the input field is disabled by administrators in general Auction settings), defined by the administrators in the auction settings and displayed on the product page.  A customer can see auction items on the Auction page by default as well as on categories and search pages, if set by the administrator in general Auction settings: Add-ons > Manage add-ons > CS-Cart Auction Add-on > Settings > Show auction products. If there is no bid input field (set by the administrator in the general auction settings), a customer can make a bid pushing the "Bid" button. In this case, he makes a minimal bid, the amount of which is displayed on the page. If there is a bid input field, a customer can choose the amount of bid, but it still must be no less than the minimal bid. If otherwise, there will be a warning that the bid is less, and it won't be accepted. After the bid is made, the customer can see a notification on the product page that the last bid was made by him/her. When a customer is overbid, he gets an email notification. The auction is finished, when the time runs out or when the administrator finishes the auction manually in the administration panel: Products > Auction > Auction list > Choose the necessary product > Edit > More > Auction > Finish auction. The winner is the customer, who has offered the highest price by this time. He/she gets an email notification with a special code, that will allow him/her buy the product. Other participants will see that the auction is finished on the product page. If the reserve price wasn't met, the winner will be informed about it and offered to buy the product at the reserve price. The winner can buy only one item at the price he/she suggested. If a customer clicks “Buy now” button, he/she can buy several items if the quantity field is available (set by administrators in general Auction Settings). The "Buy now" price is displayed on the product page. In the administration panel go to Products > Auction > Auction list > Choose the necessary product from the list > Edit-> More-> Auction history. The changes you've made a great addon. If you would be perfect, current's auction bidders listed as unknown (Pinch = P...h) and displayed in a tab. First place belongs to the ebay auction method which is better. I think it is better for your auction ebay style and design upgrade. ...And so on. The ebay listing is visible to bids. Of course, users are hidden bidder. Thank you for high appreciation!